There is a lot of money to be made in the restaurant industry. In 2013, $683 billion dollars were spent in restaurants. There are nearly a million restaurants in the country and 13.5 million people work in this industry. One last amazing stat: 47% of the food dollar in the United States is made in restaurants. In order to get a cut of the restaurant pie, it takes equipment, inventory, sufficient staff and more. These businesses are costly to start, maintain and run effectively, but the reward is clear. Yet in this economic environment, getting a small business loan for your restaurant can be very challenging. If you’re a small business owner looking for a restaurant loan and you haven’t had success with the banks, Silver Rock Funding might be able to help you get the capital you need. Additionally, Silver Rock Funding is constantly researching the trends in the restaurant business loan space and has published articles to help you get the merchant cash advance you need. If you run a pizza shop, a sub shop, a steakhouse or an ice cream store—we can help. Regardless of your business type, Silver Rock Funding can provide you with access to up to $500,000 for your business. Maybe you need to make payroll, order new supplies or even do some marketing. Some restaurant owners use the cash to replace a worn or outdated oven, others update their interior or even do a promotion—whatever the reason, it’s important to know you can get the cash you need, when you need it. 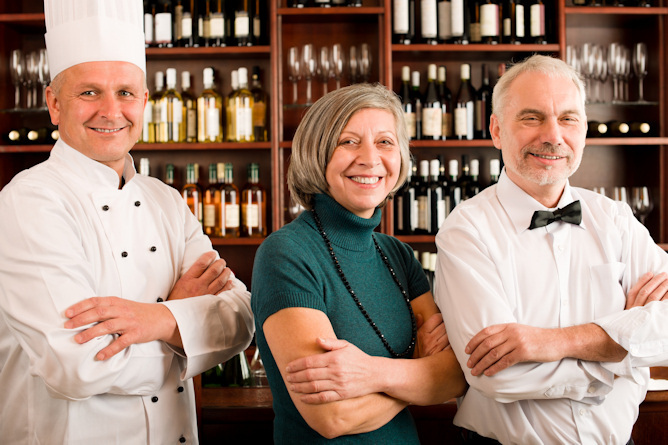 We can help restuarants get small business loans with bad credit or no credit as well. The process begins when you fill out an application. From there, a dedicated funding manager will work hard for your business. This personal touch allows you to understand the entire process and how to get the best deal possible for your restaurant. We can provide you with access to up to $500,000 and get you approved within 24 hours and funded within 72 hours. Plus we work with bad credit options if you are concerned about your credit. One of the most popular ways to finance your cash is through a merchant cash advance whereby you pay back the cash you owe through a portion of future credit card sales. This is a great option for restaurants because the cash comes out in a small daily amount and you are able to continue to grow without having to pull out a chunk of money from your savings. For most small business loans, you will need to provide six months of bank statements and three months of merchant processing statements. One more stat: 9 out of 10 restaurants have fewer than fifty employees and as a small business owner you know that people are counting on you and this business is a family. We understand that and will work with you to get the funding and assistance you need. Get started today on a restaurant loan through Silver Rock Funding!